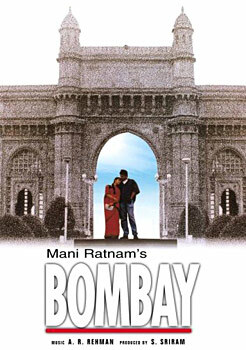 Bombay: My all time favourite movie by all time favourite director. What’s not to like in this one? The acting of every character is great, cinematography is beautiful, music is fantastic, the romance is sweet, and the issue is so relevant, even today, 16 years down the line. When all the death and destruction takes place, I couldn’t help but bemoan “Why? Why all this senseless carnage in the name of religion!” and ARR’s music combined with Vairamuthu’s awesome lyrics never failed to give me goosebumps. Agreed that the ending is a bit cinematic, but I would rather have a positive ending than a tragic one. I know this movie was dubbed in other languages but I saw it in the original language and my mother-tongue, Tamil. I don’t know how it turned out in other languages, but it is an unforgettable one for me. 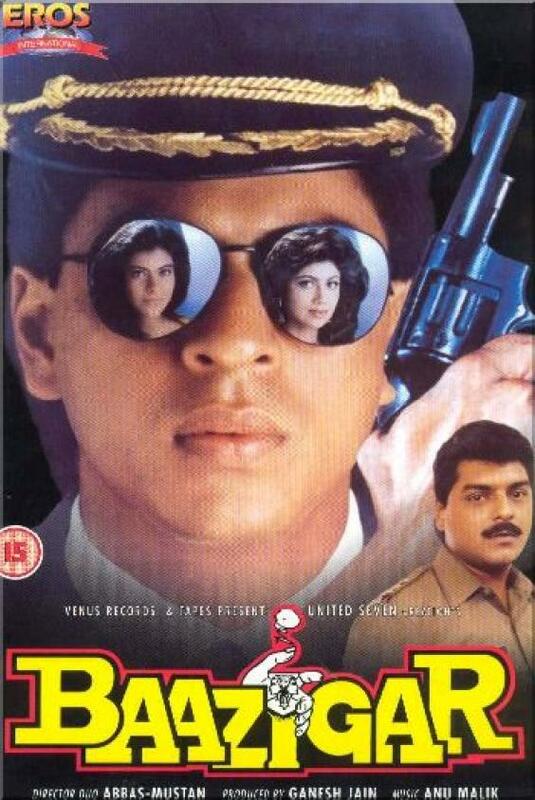 Baazigar: I saw this movie on Doordarshan probably years after it was first released, and promptly fell in love with SRK – and still haven’t fallen out of it yet! And this inspite of not knowing much of Hindi! When he dies in the end I actually had tears in my eyes! Sigh! Official language? Phooey! Watching SRK movies is probably the most important reason that I want to learn Hindi. 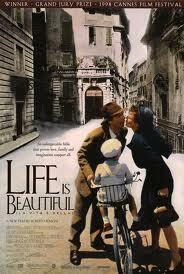 Life Is Beautiful: is an Italian movie named La Vita e Bella. According to Wiki, it has won the Grand Prize Of The Jury at the 1998 Cannes Film Festival as well as Best Music, Original Dramatic Score, Best Actor and Best Foreign Film at the 71st Academy Awards. When I saw this movie, I had absolutely no idea that it was such an acclaimed one nor did I know what it was about. The story revolves around the protagonist, a Jewish Italian called Guido. The first half of the movie is slow, funny and light, following how Guido woos Dora, who happens to be much better off than him. But she is charmed by Guido's entreaties and they marry and have a son and life goes on. Only they are caught bang in the middle of the Nazi persecution and are packed off to a concentration camp. From here on, the movie takes on a more serious angle. Guido tries valiantly to make his young son believe that all this is just one big game and that they have nothing to worry about. His optimism, wit, determination, resilience and innovation even in the face of such adversity and to the very end is heart-warming. I am a born pessimist and this movie makes me ashamed to be one. The buildup to the climax is tension-filled and the ending is touching and bittersweet. Since I saw the English dubbed version, understandably the language was a little disjointed. But it is a lovely movie which is sure to tug at your heartstrings and bring a lump to my throat. A must watch! Yes definitely! it is indeed a wonderful movie. Not seen Bombay huh? Really surprising considering the number of times they've played it on TV! i've watched life is beautiful.. i cried for the most parts.. :( hav watched the other 2 too.. but dont remmember them much..
Let me tell you that Life is beautiful is a wonderful movie. How intensely the father expresses his love for his son and hw childishly he fools his son by telling him some weird stories and they are playing a game and all..
@The Solitary Writer: Yep an admirable movie indeed! hmm.. 'life is beautiful' is surely the next on my list of downloads..
Great list and I am contemplating if I should take the challenge! :D hehe!